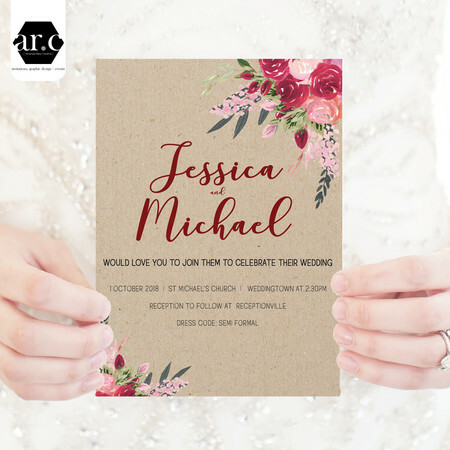 Boho Flower Wedding Invitations, designed and professionally printed on gloss or matte artboard. $2.20 each including white envelope. After checkout, please e-mail me the details you would like on your invitations. From there I will e-mail you back a draft until you are completely satisfied. Invitations will then be printed and posted to you. Easy!